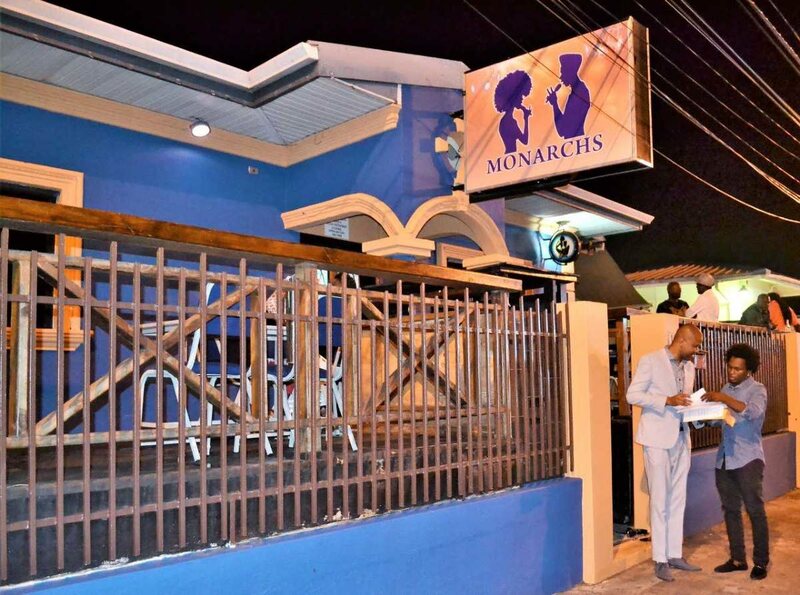 Duane O’Connor meets reigning Calypso Monarch Helon Francis outside his new establishment Monarchs. “I have always wanted to own a business like this and when you work hard your dreams always come through,” says Duane O’Connor. The 2012 calypso monarch was addressing the audience at the official opening of Monarchs at 10 Ariapita Avenue, Woodbrook, Port of Spain. O’Connor kept no secrets as he told the audience exactly how he was able to rent the property with serious negotiation. “The rent started at $30,000 per month and I haggled with the owner until we reached a settlement of $28,000 per month. “When the time came to sign the agreement the landlord and I agreed on $25,000 for the first six months. I had to pay the first and last month along with a security deposit. Although I was smiling I wondered where I was getting $93,000 to acquire the property immediately. “I thank God, my wife and son, brothers and sisters for being there for me. I cannot forget my friend, former calypso monarch Devon Seale who was also instrumental in me acquiring this space. O’Connor was the person who broadcasted the Mas Camp fire live on Facebook several years ago. 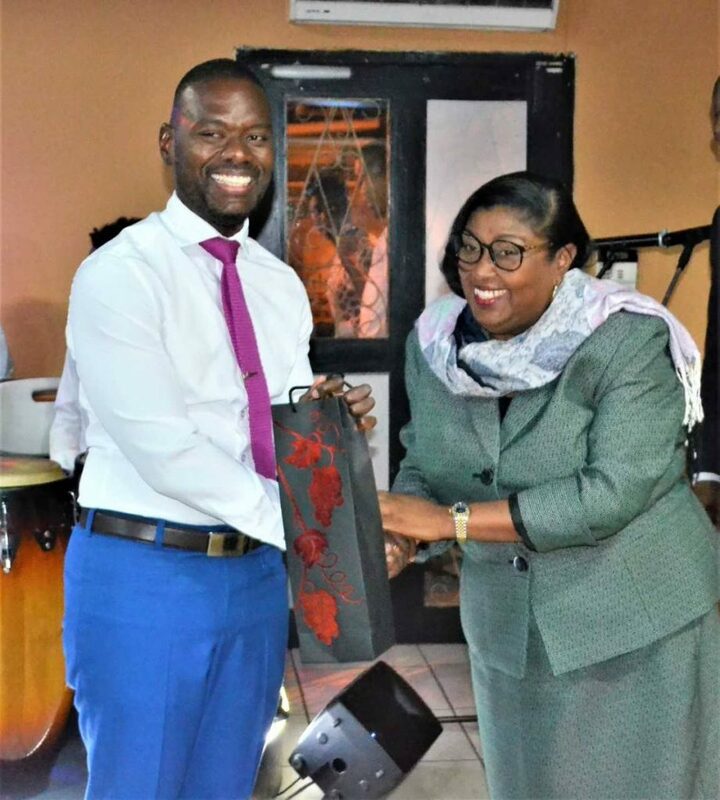 Devon Seale receives a birthday gift from Minister McDonald. McDonald congratulated O’Connor and told him she will pass by the next day and leave a donation for him as her contribution to his venture. TUCO’s president Lutalo Misamba (Brother Resistance) said O’Connor is just continuing a tradition where calypsonians become businessmen. “Is history we making tonight, for so long we have been lamenting about the lack of performance spaces in the city and TT on the whole. It is heart-warming to share a vibration in an entertainment space such as this one especially when one understands the tradition of Carnival arts. Duane O’Conner stands proudly at his new place of business Monarchs. When it came to performances O’Connor had to apologise for the absence of the nine-time calypso monarch Hollis Liverpool (Chalkdust) who was advertised. He said he got a call about 2 pm saying that Chalkdust was unable to perform because of illness. 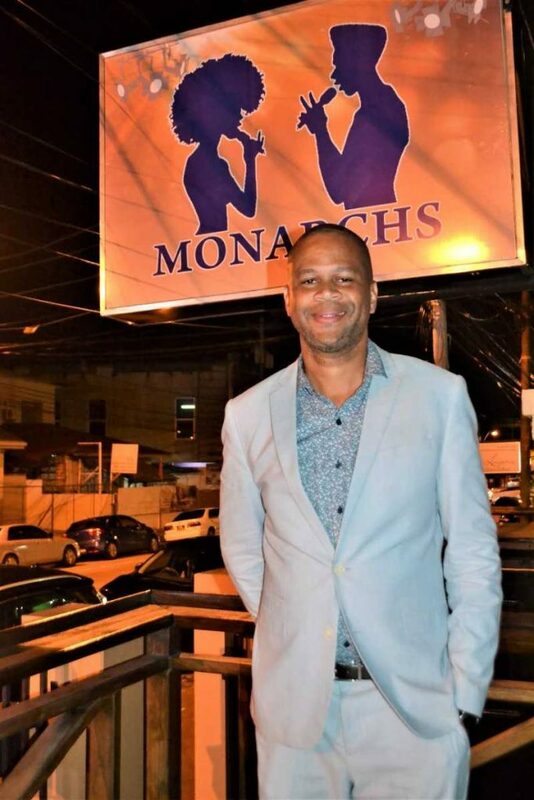 Trying not to panic, O’Connor got reigning Calypso Monarch Helon Francis and 2016 monarch Devon Seale who celebrated his birthday along with himself to fill the void. Even though Chalkdust was not there the audience, which included over a dozen students from the University of Minnesota, all enjoyed the performances. Music was supplied by Cummings and the Wailers. The 2011 calypso monarch Karene Asche also performed as well as the reigning Junior Calypso Monarch Duane Ta’zyar O’Connor and his band Steem. Reply to "Monarchs comes to the Avenue"